Writing about highly technical topics is challenging in many ways. In addition to learning a brand new subject, it forces you to follow strict guidelines that typically aren’t present when tackling more generalized writing projects. Whereas you might be able to take a few shortcuts when writing on a well-known topic, there’s no room for oversimplification in technical writing. But every now and then, you’re going to encounter a client who operates in a very specific vertical that you know nothing about. Every word must be carefully chosen and each sentence must be crafted with the reader in mind. How you handle these clients will have a big impact on whether you’re able to retain them. If you’re confronted with a technical topic in a highly specialized niche, don’t stress out. The following tips will help you flourish. When a client approaches you about a content writing job (or you pitch them your services), make sure you take research time into account. Charging the same rate as you would for a topic in a niche that you’re familiar with doesn’t make a whole lot of sense. Time is money and the last thing you want is to do a few hours of research and not get paid for the effort. 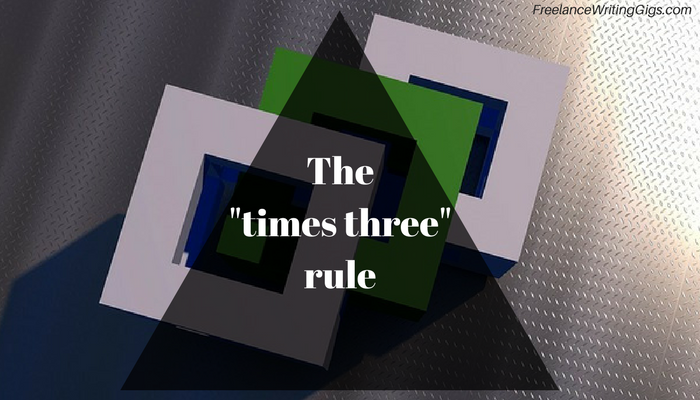 Have you heard of the “times three” rule? This rule says that you should always find at least three reputable sources that can verify your understanding of the technical topic you’re writing on before submitting your work to the client. At the very least, this gives you support should something you write be questioned by a reader (or the client). This ITIL incident management page from Web Help Desk is a good example. While it may sound like the name of a software program, Information Technology Infrastructure Library (ITIL) is actually a standard of best practices for effective IT service management. With a very technical topic, a simple web search may not be able to yield a thorough understanding of all the intricacies and nuances a firsthand understanding could provide. What a technical content writer would want to do in this scenario is make sure he accesses at least three people with an ITIL Certification or experience aligning an organizational structure under the ITIL framework to help shape his research. Not only do these primary sources support the quality and depth of the writing, but they can also provide topical legitimacy for the piece. As you know, Wikipedia is not a very reliable source of information. It’s great for quickly gathering basics on a topic that you’re unfamiliar with, but the open source nature of the platform means anyone can write anything. So while you should never cite Wikipedia, it does serve a purpose. All the way at the very bottom of every Wikipedia page is a resources section that explains where the writer sourced the content. You can click on these links and usually find some reputable sources of content. When gathering the details of a writing assignment with a client, be sure to ask them for information on their closest competitors. Not only does this help you avoid citing certain sources, but it also gives you an opportunity to find good background information on topics of relevance. Spend some time reading content on these competitors’ websites and you’ll have a much firmer grasp on what their niche really looks like. The good news is that technical content usually pays more. However, with that increased pay typically comes a bigger time investment. If you want to eliminate wasted time and increase your pay, give these technical writing tips a try. Over time, you’ll naturally refine your approach as you figure out what process works best for you. WoW! I am motivate reading your article. Thanks for sharing with us.